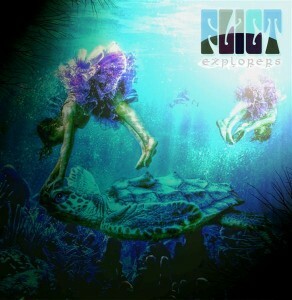 After years of playing ambient and chill at festivals and parties around the globe, Flict (Dan Flict) released his debut Explorers in 2009 with great reception by the lovers of the genre. Here you can find four emotional compositions exploring the deeper side of ambient and psychedelic downtempo. An eclectic and introspective journey through the listener mind, from darkness to light, always visual and full of color. Mastered by Luiz Tornaghi with cover art by Roosevelt Soares. MP3 Download | FLAC Download | WAV Download · Download count: 6,755. In track 3, at 4:53, there is a cat purring. Deep and beautiful! Great music!! !